Calcein is a highly negatively charged, water-soluble fluorescein derivative. Its fluorescence is nearly independent of pH in the range between 6.5 and 12. Calcein is a highly negatively charged, water-soluble fluorescein derivative. Its fluorescence is nearly independent of pH in the range between 6.5 and 12. The dye can be introduced into cells by microinjection and is useful for cell tracing and for the study of cell membrane integrity and fusion. Biotium also offers calcein AM, the membrane-permeant version of calcein that hydrolyzes into calcein once inside cells. λEx/λEm = 494/517 nm (pH 8). Calcein AM is a widely used green fluorescent cell marker. Calcein AM is membrane-permeant and thus can be introduced into cells via incubation. The Calcein AM Cell Viability Assay Kit is designed to quantify live cell numbers based on their endogenous esterase activity and plasma membrane integrity. Our CF® dye hydrazides are bright, extremely water-soluble and nontoxic. These properties make the dyes excellent fixable polar tracers for neurons, or for gap junction studies. 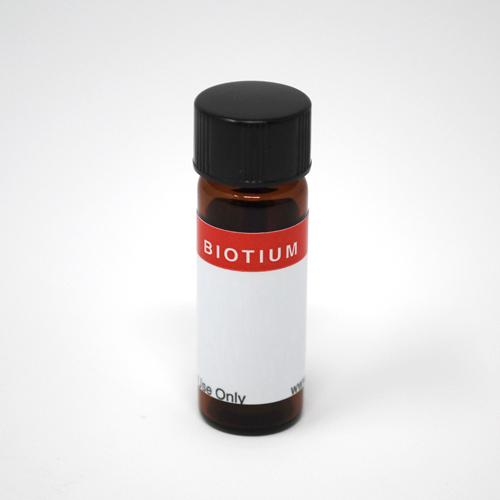 Potential applications of Biotin-CF® dye include detection of biotin binding sites and the degree of biotinylation of proteins, and for the measurement of avidin and streptavidin in crude biological samples. In addition, biotin-CF® dye can be used as a polar tracer by microinjection to study the morphology of cells. CF® dye labeled dextrans could be used as a fluorescent fluid-phase markers to study cell permeability, endocytosis, or mechanisms of biomolecular delivery. The dextran is 10,000 MW, and contains a formaldehyde-fixable free-amine group.